Descending from the great Russian musical tradition, the Hermitage Piano Trio is distinguished by its exuberant musicality, interpretative range, and sumptuous sound. In the same way that St. Petersburg’s venerable Hermitage State Museum represents the very essence and history of Russia while also using its collection to embrace and promote cultures from around the world, the trio embodies the majesty of their Russian lineage. A rarity in the chamber music world, this elite trio comprises three musicians who are noted soloists in their own right. Together they have performed to tremendous acclaim for audiences on major chamber music series in Los Angeles, New York, Boston, Philadelphia, Washington, D.C., Tucson, Portland (OR), San Miguel de Allende (Mexico), and New Orleans. 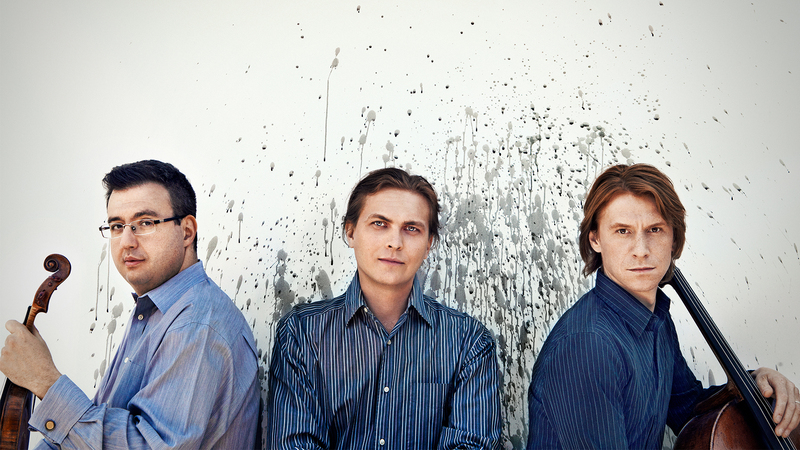 They make their San Diego debut at ArtPower, presenting a program of Russian masterpieces.